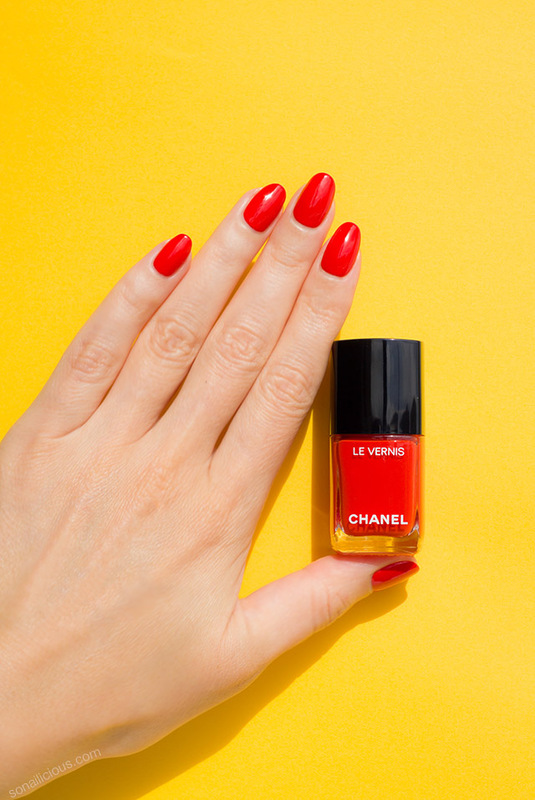 This striking orange red nail polish, Chanel 634 Arancio Vibrante is the epitome of spring! Think hot orange red May sunsets and blooming fields… It’s the 4th and the last nail colour from the new collection, which is also the only bright colour in the palette. 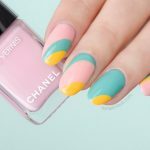 That’s why I chose it to be the final installment in my Chanel Spring 2018 series. 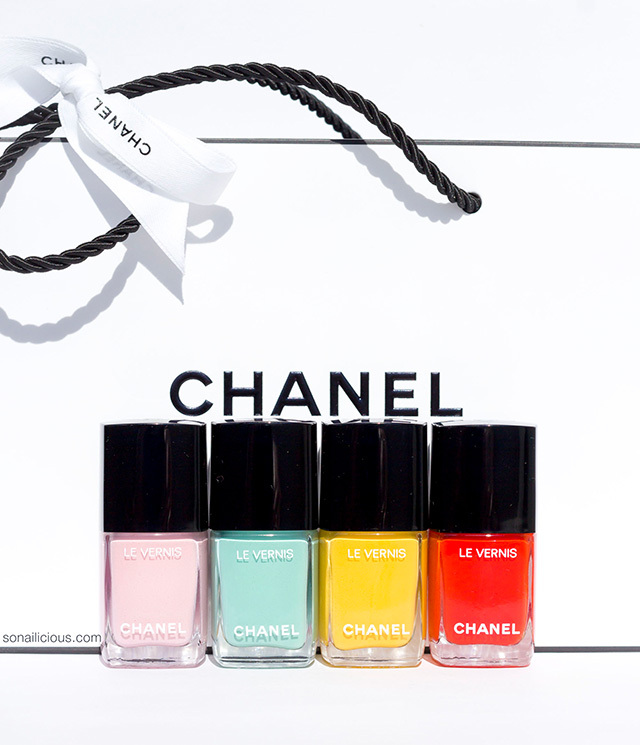 To find what sets it apart from the other Chanel spring lacquers read my review below! 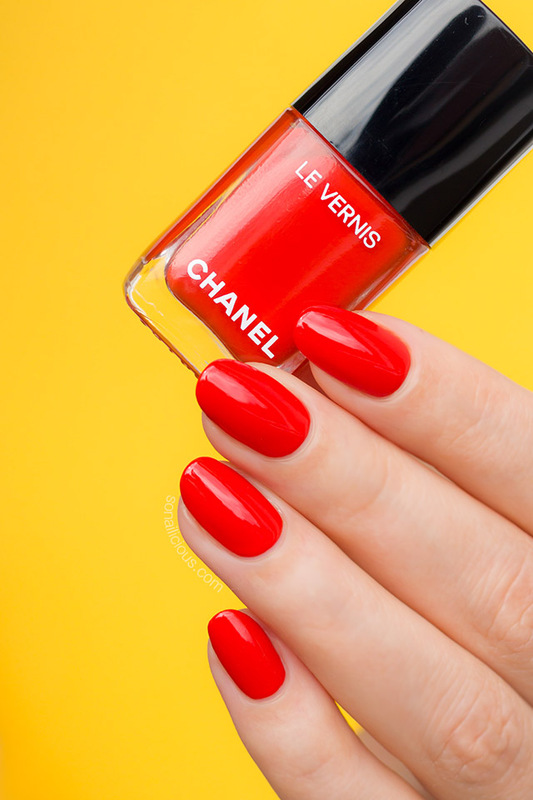 Formula: Chanel Arancio Vibrante has the new generation Chanel Gel polish formula which is very glossy, fast drying and long-lasting. 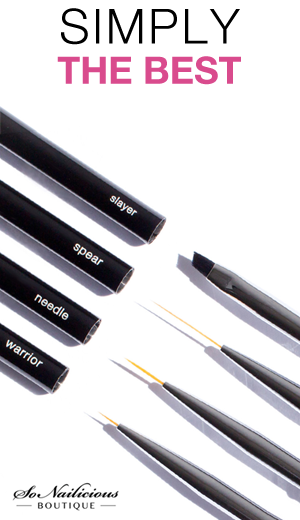 It’s 5-free and cruelty free. The polish is very pigmented! You can easily get away with just 1 coat. I applied 2 layers, however, just because I’m a bit of perfectionist. Application: It’s very easy to apply, the formulation is perfect. 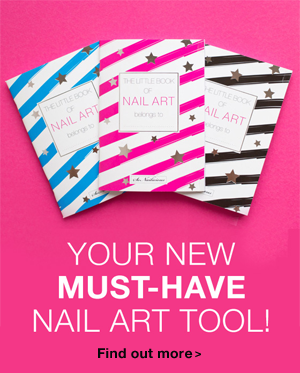 The nail polish dries very quickly and yields in a perfectly smooth coverage. 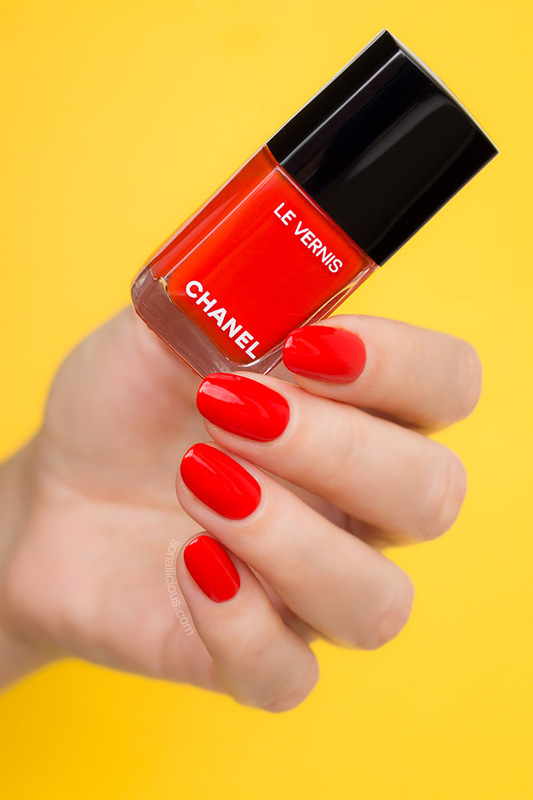 Finish/Colour: Chanel Arancio Vibrante is a very bright orange red in a classic jelly finish. It’s way more pigmented than the usual jelly polishes. Wearability: Very long-lasting, it lasted 6 days with a top coat. Dupes: there are no dupes for Arancio Vibrante in my collection. It may seem like you already have a red like this in your stash, but after comparing all my reds, corals and oranges I found nothing like this orange red jelly nail colour in my stash. The closest colours are the jelly red OPI To The Mouse House We Go and the very orange red cream OPI A Red-Vival City. Extra Notes: I found that pigmented orange red nail polishes tend to stain nails. I can’t comment if it’s the case for Chanel Arancio Vibrante, as I wore Mavala Barrier Base coat underneath it. If you want to avoid staining your nails, I highly recommend you do the same. Overall Impression: Usually I tend to skip reds but Arancio Vibrante but such a beautiful and unusual orange red nail polish that I made an exception. The formulation is fantastic and the vibrant colour suits almost any skin tone. So if you’re looking for a new bright nail polish, try Arancio Vibrante. You’ll love it! 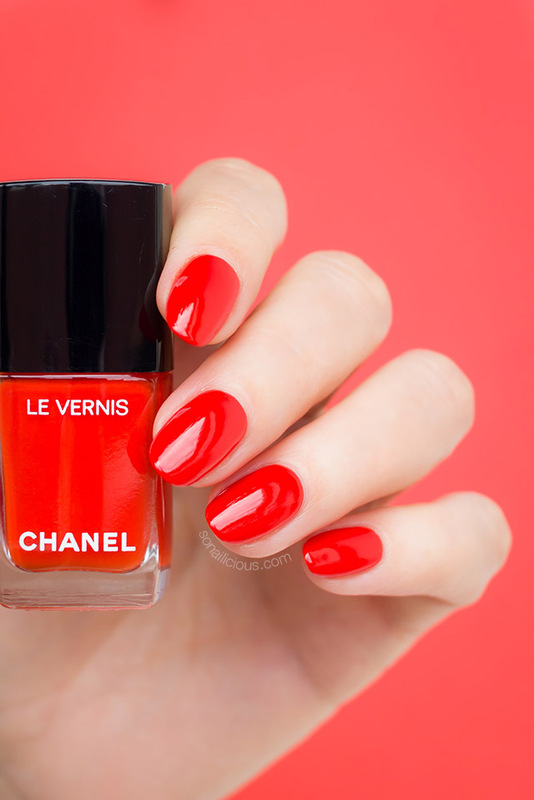 Where to buy: Chanel 634 Arancio Vibrante is available now – USD $28 here and here; in Europe here; AUD $41 here. 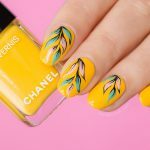 What do you think of Chanel Arancio Vibrante? Are you keen to invest in it? P.S. 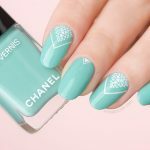 This is the last post from the Chanel Spring 2018 series. See all posts here. Make sure to come back next Wednesday for a step-by-step tutorial and design with the new Chanel orange red wonder!